Moonstone | Gemstones from A-Z at Rocks & Co.
Back Home Gemstone Information Moonstone | Gemstones from A-Z at Rocks & Co.
Moonstone is aptly named for its likeness to the moon. Also known as Selenite, from the Greek 'selene' meaning moon and also the name of their moon goddess, and Adularia, a variety of Moonstone found in the European Alps that also lends its name to the optical phenomena unique to Moonstone, called adularescence. In India, the Hindi name for Moonstone is 'chandrakant', meaning 'beloved of the moon'. Moonstone's mythology is quite straightforward. In both ancient India and Rome, Moonstone was believed to be mystically created by rays of moonlight. The Romans thought Moonstone's appearance changed with the waxing and waning of the moon, even believing their moon goddess, Diana, was pictured in every Moonstone. A recurring theme in Moonstone's mythology is divination, as it is regarded as a feminine or 'goddess' gemstone. In mythology, divination was usually a feminine trait, so much so that during antiquity, men used to cross dress with a Moonstone in their mouths to see the future. Feldspar is a mineral family containing many gems that possess a beautiful optical phenomenon, such as adularescence, aventurescence and iridescence. Within this family there are two subgroups of gems, the plagioclase group and the potassium group. Those in the potassium group share their chemical composition and are distinguished by their crystal structure. Most gem varieties are found in the plagioclase group, these gems are distinguished by their calcium and sodium content and ratio. Many Feldspar gems look similar, a member of the potassium Feldspar group, Moonstone is closely related to Labradorite and Sunstone. 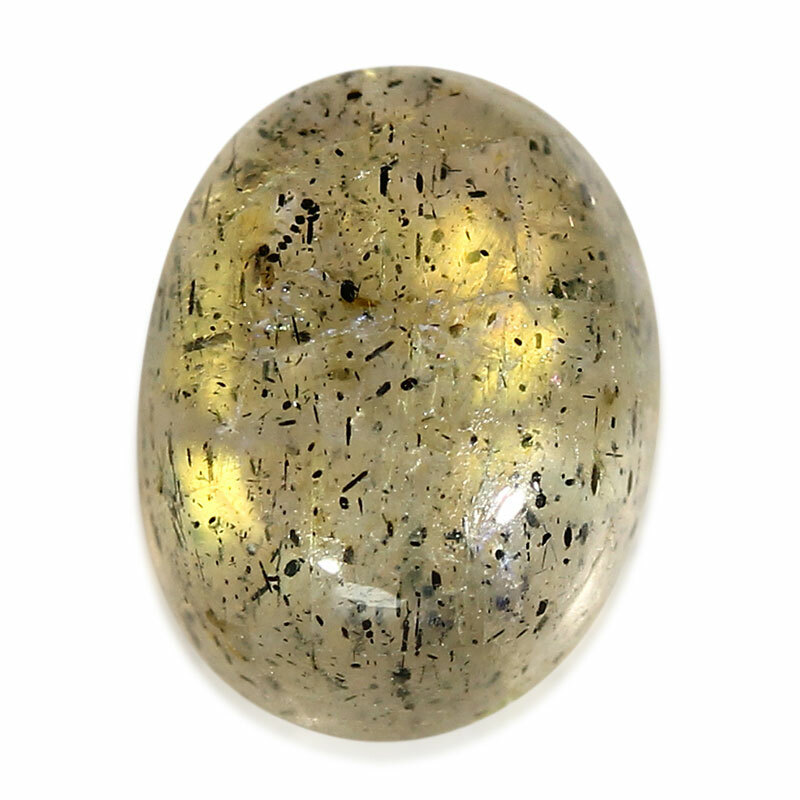 Moonstone comes in a variety of colours, including brown, colourless, green, grey, pink, rainbow, white and yellow. Moonstone has a silver to blue adularescence, this is a semi-translucent to translucent sheen, often displaying a very high clarity. 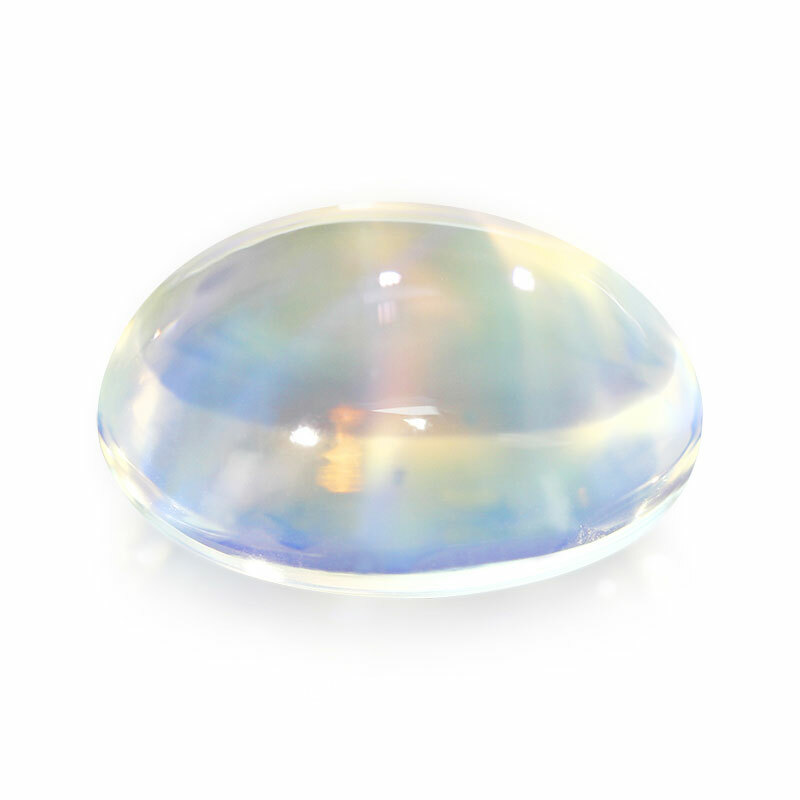 Rainbow Moonstone is an optical phenomena 'double whammy' as it displays a bright blue adularescence as well as an iridescence that breaks white light into its spectral components. 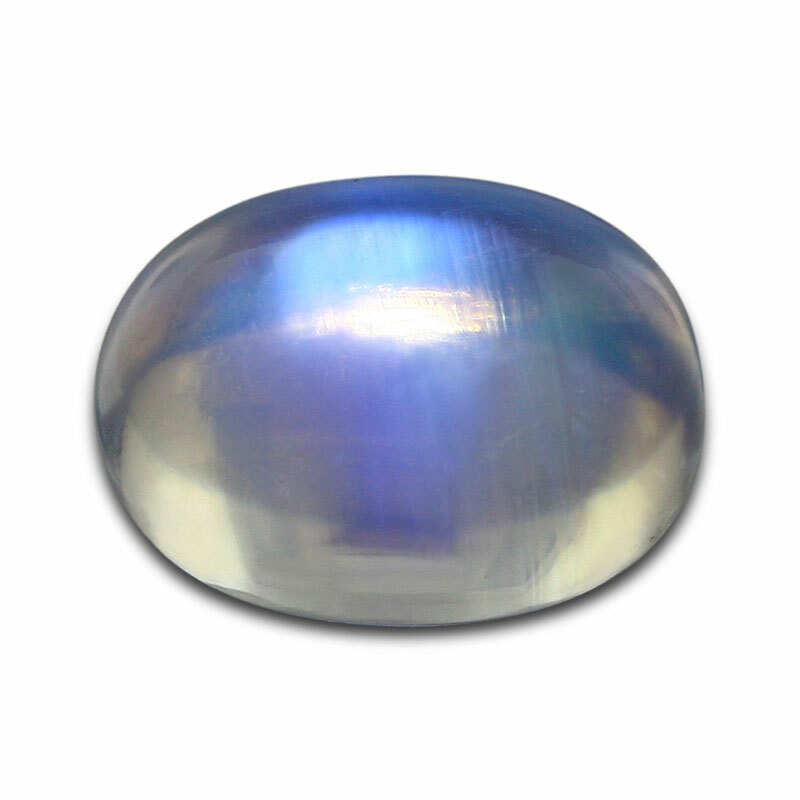 The 'best' Moonstone has an intense blue sheen that moves smoothly across the gem as the viewing angle changes, high clarity and a colourless body colour. 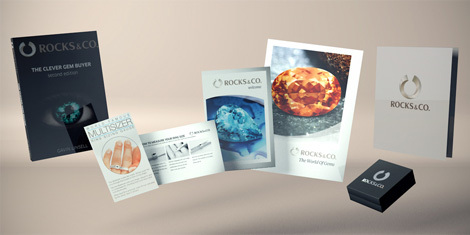 While Moonstones were traditionally cut as cabochons, they are also increasingly faceted. With a gem history spanning over 2,500 years, Sri Lanka has been known for centuries as 'Rathnadeepa' ('Island of Gems' in Sinhalese), and has traditionally produced the highest quality Moonstones, almost transparent with a strong blue sheen. Moonstone also occurs commercially in a few isolated deposits in Brazil, Burma, the European Alps, India, Madagascar, Tanzania and the USA. Named after the Labrador Peninsula in Canada where it was first discovered, Labradorite is a plagioclase Feldspar that is mined in China, India and Madagascar. Labradorite is available in transparent specimens (usually red, orange, yellow or colourless) as well as smoke grey varieties that show a striking metallic coloured iridescence, aptly called 'labradorescence'. This phenomena displays rainbow coloured reflections as light strikes the gem from different angles, and it is judged by observing the strength, intensity and range of colours. Colloquial names include 'black rainbow' and ‘firestone’. Named for its resemblance to the sun, Sunstone is a plagioclase Feldspar that is typically yellow, pink, orange, red or colourless. Sunstone's most important attribute is its aventurescence, the beautiful glittering sunlight effect caused by tiny metallic inclusions. 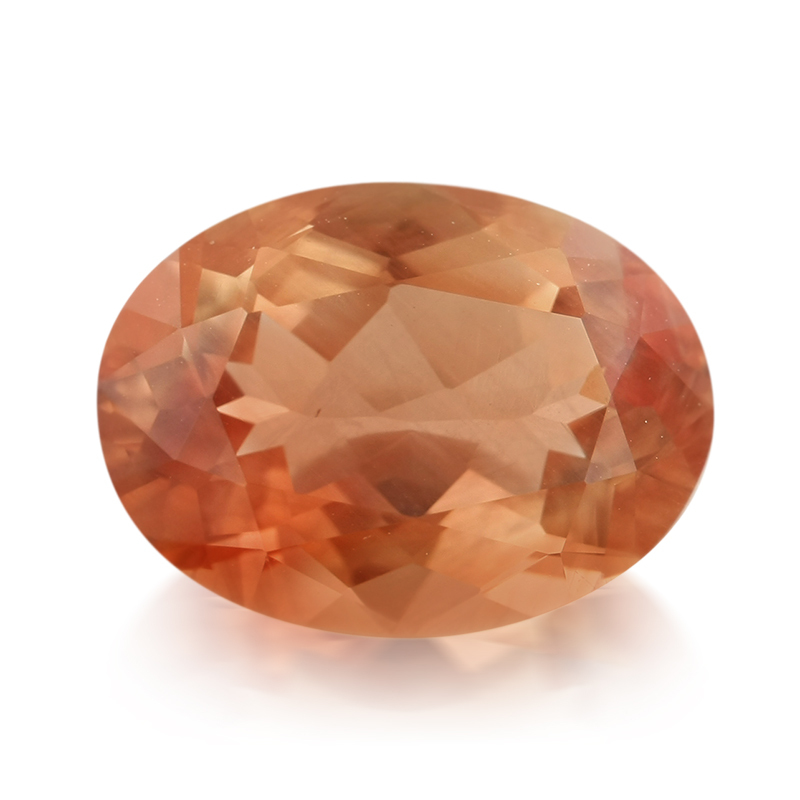 Predominately mined in India, Madagascar and the U.S.A., Sunstone was once coveted for its purported ability to guide its wearer through the journey of life.